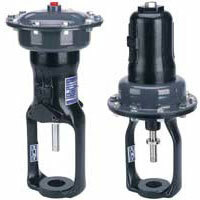 Pneumatic Valve Actuator offers the ultimate in precision diaphragm motor control. Features easily accessible spring compression nuts permitting easy range change and adjustment. Hand Operated Globe Valve is an economical and functional alternative to large actuator/control valve packages. Body and bonnet are each constructed of stainless steel for superb corrosion resistance and chemical compatibility. 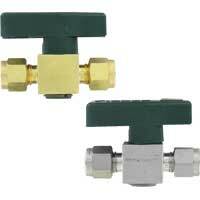 Compact Plug Valve is designed to stop forward flow. Comes in either fractional tube fitting or female NPT connections. 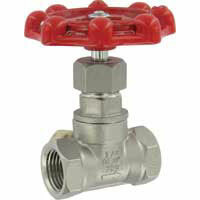 One-piece body makes this valve an economical choice for your application.